Over 5,000 students with original voices all across Kenya answered the question: Ni vipi teknolojia inabadilisha shule yako? Or How is technology changing your school? 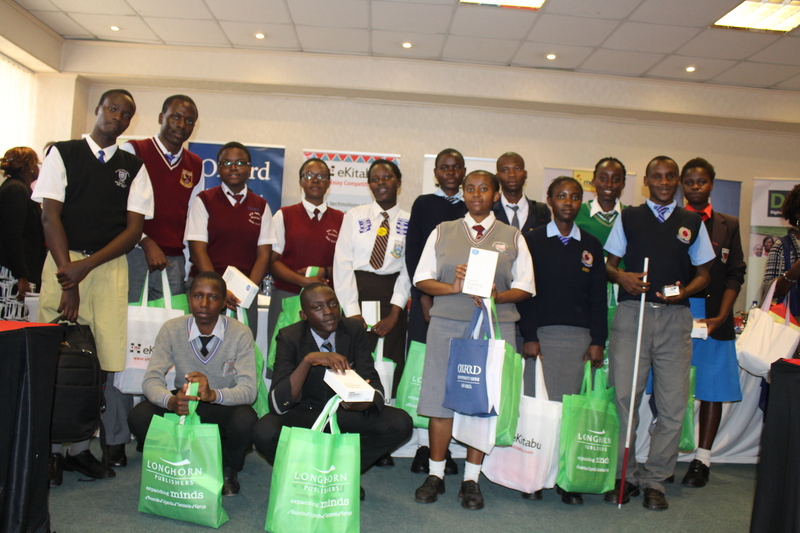 The 5th annual eKitabu Digital Essay Competition has for the first time included young writers from the Special Needs Community with participation from schools for the blind and visually impaired in Mombasa, Kisumu, Kiambu, and Meru counties who submitted their essays in Braille. Special Needs winners will be awarded computing devices, scholarship money and public recognition alongside their mainstream peers. The 2017 Digital Essay Competition was open from 20th April to 1st August and received 5,305 entries from 177 schools in 41 counties. Students submitted essays of 500 words to 800 words to interpret the 2017 question and respond to it in their own original voices. Judging is done in two rounds, first by competent and respected teachers with wide experience marking language subjects for primary and secondary school national examinations. Final Judging is done by a panel of distinguished leaders from Kenyan public sector and private sector organizations in publishing and education. Prize Giving is Wednesday 27th September at Nairobi International Book Fair, Sarit Center, Westlands from 10am- Noon. The Competition is open to students from Standard 5 to Form 4 in all Kenyan public and private schools. Essays are submitted online at essay.ekitabu.com. Winners are awarded computing devices, scholarship money, and national recognition with Ministry of Education. DEC Partners & Sponsors are Ministry of Education, Longhorn Publishers, Moran Publishers, Oxford University Press, Kenya Publishers Association (KPA), Kenya Union of the Blind (KUB), Kenya Private Schools Association (KPSA), Kenya Primary School Heads Association (KEPSHA), and Kenya Secondary School Heads Association (KESSHA). eKitabu is a Kenyan and US based company headquartered in Nairobi. eKitabu is East Africa’s leading ebook store, distributing ebooks and interactive content to schools and individuals at eKitabu.com. eKitabu collaborates with leading educational publishers in Kenya and internationally, focusing on books approved for use in Kenyan education by the Kenya Institute of Curriculum Development (KICD).